I got carried away with drawing butterflies last week and made so many that I decided to use them for the final frame in my black and white butterfly series. You can see the other ones here, here and here. Not being much of a sketcher, I found it challenging to create a pair of identical wings. But what I discovered is that the wings don't need to be identical. As long as the outline of the butterfly is symmetrical, then your eye doesn't notice the differences in the pattern from one half of the butterfly to the other. 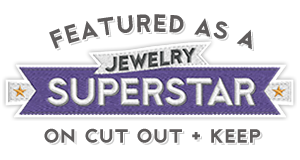 And the easy way to get a symmetrical butterfly is to use a die cut! 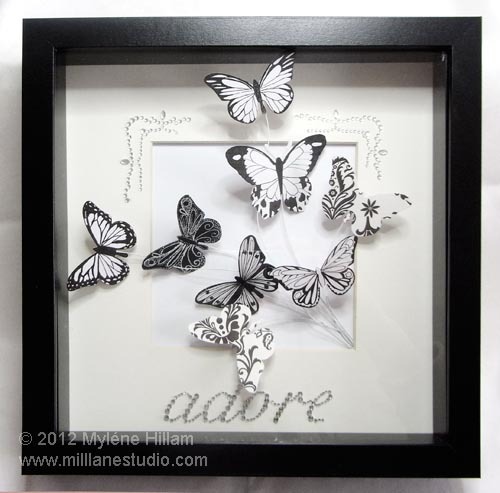 Anyway, here it is: the final black and white butterfly shadow box in the series. 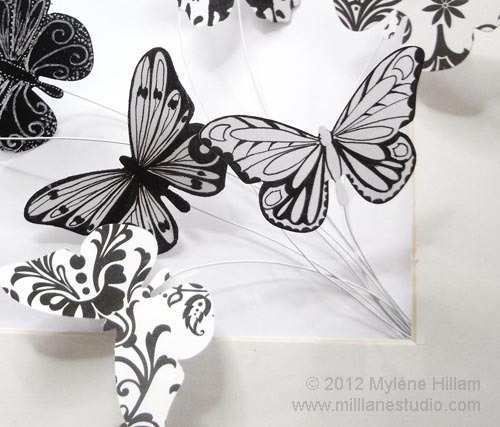 For this project I die cut 7 Sizzix butterflies (retired design) and 1 Cuttlebug butterfly. Then I went to town sketching/colouring butterflies with a Pigma Micro Pen for the black-on-white butterflies and Inkssentials White Opaque Pen for the white-on-black butterflies. To help with the patterns, I did an image search for black and white butterflies and found so many different patterns for inspiration. 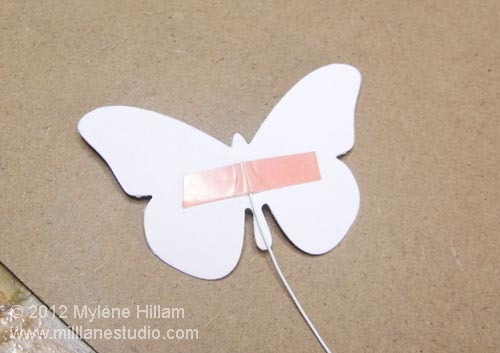 Each of the butterflies is attached to a length of white, plastic-coated wire with double sided tape. 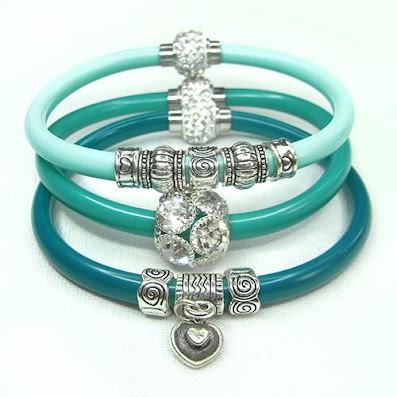 They vary in length from 10-15cm (4-6"). After arranging them in a bouquet, I taped them to the back of the matt board that comes in the Ribba shadow box frame. And for the finishing touch I applied some self adhesive crystals to the matt board before assembling the shadow box. 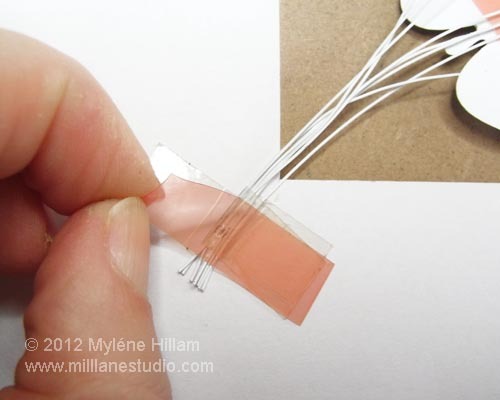 To accommodate the thickness of the bunch of wires, I used foam tape to raise the matt from the background. Whilst it's satisfying to assemble the pieces and see it all come together, the most enjoyable part of this project is drawing the butterflies. It's a lot like doodling or Zentangle because you don't have to have perfect butterflies..... each one is a unique creation. And finally, my four shadow boxes are ready for hanging. But that's a project for the handyman in my household!